Exceptional!! That’s what our Hotels.com guests have thought about us so far!! 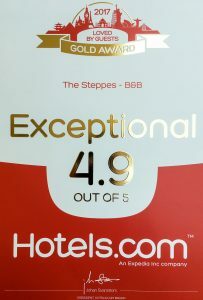 Thank you very much Hotels.com and thank you to all our guests who have taken time out to rate us. We really do appreciate it and will continue to keep our standards high.